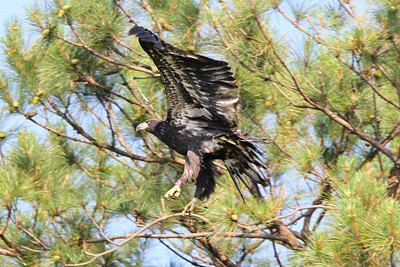 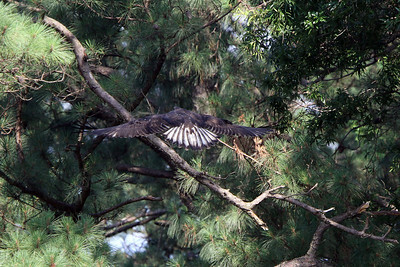 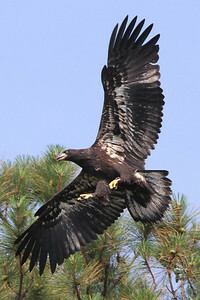 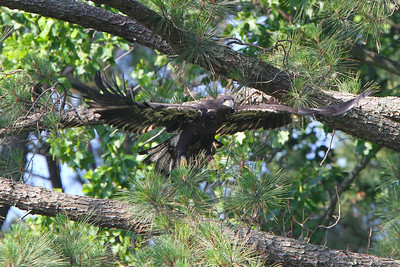 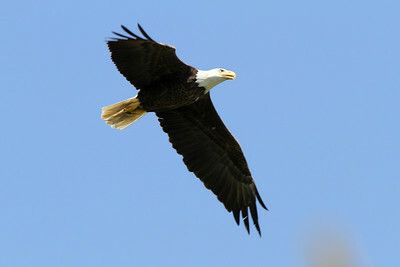 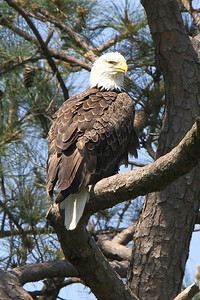 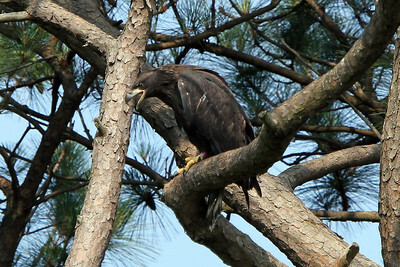 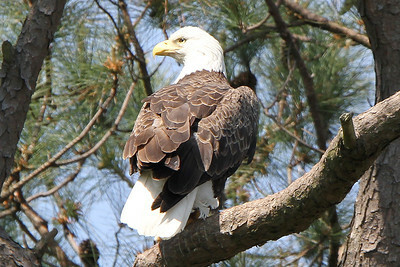 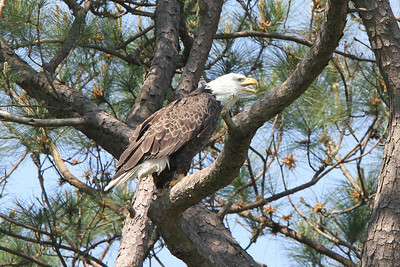 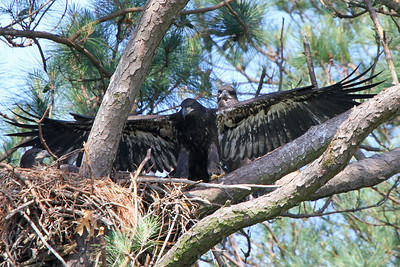 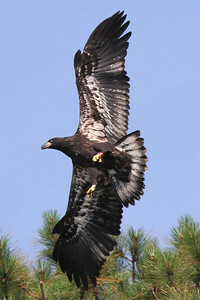 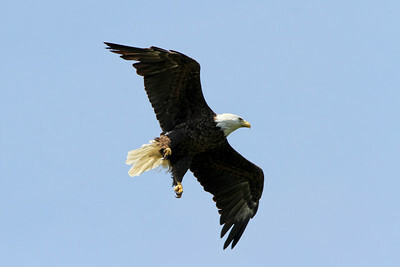 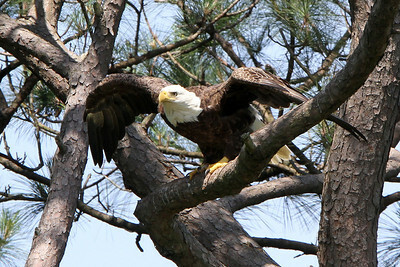 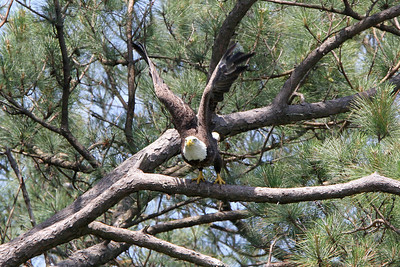 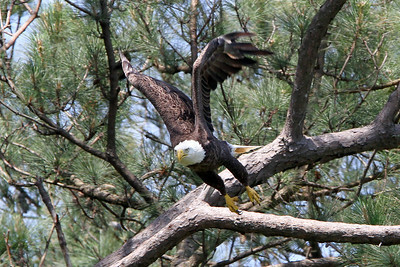 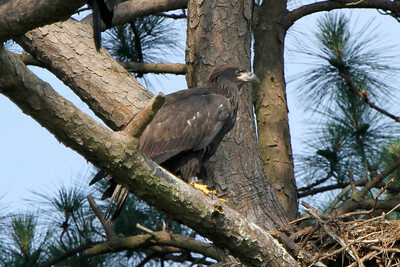 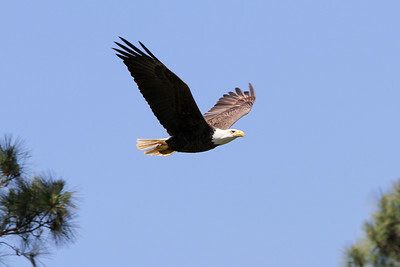 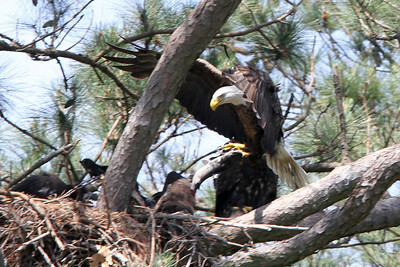 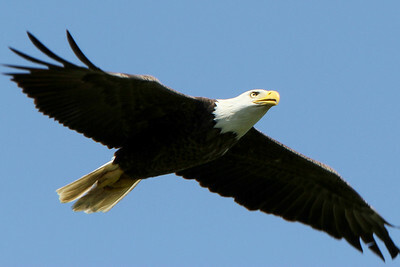 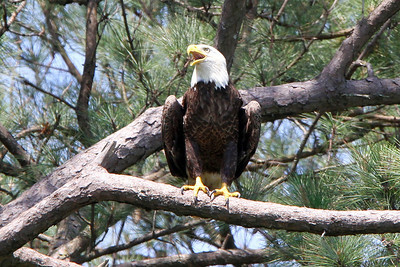 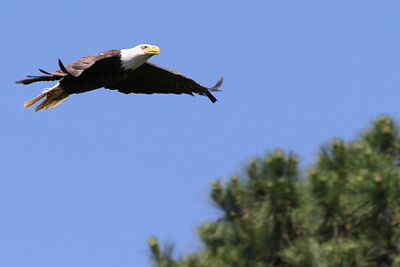 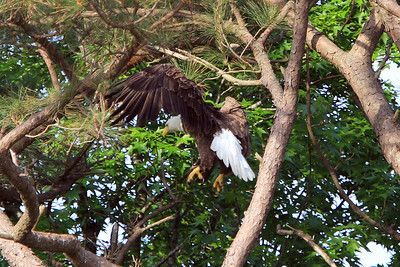 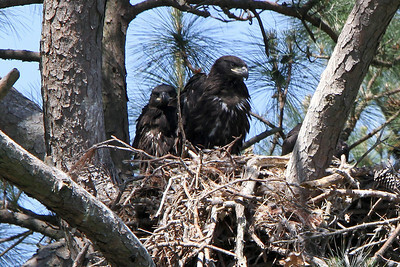 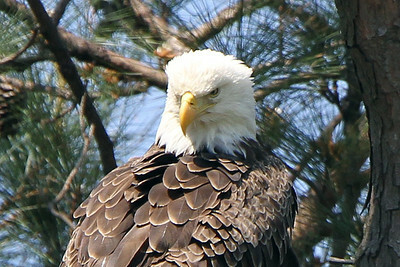 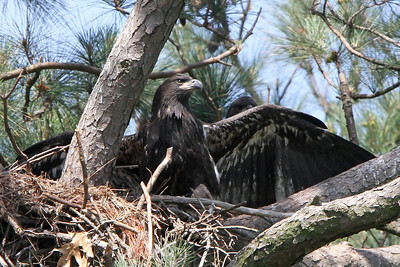 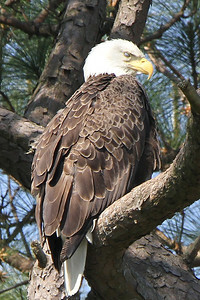 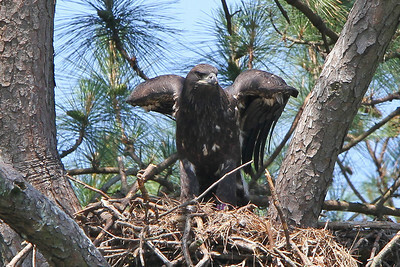 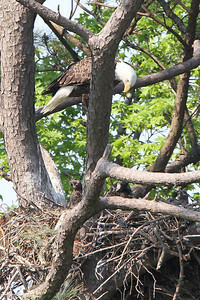 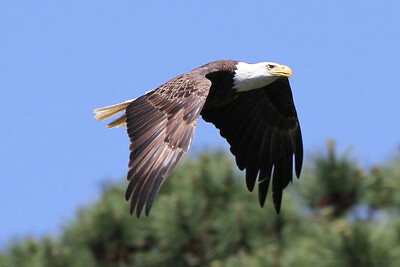 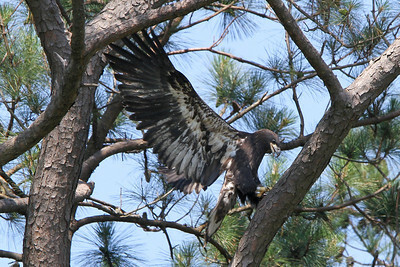 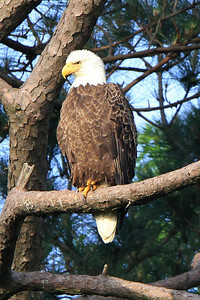 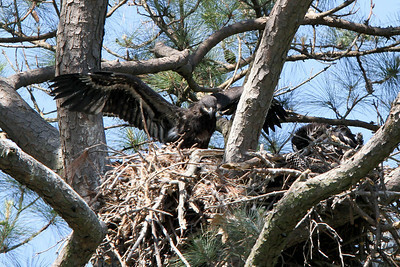 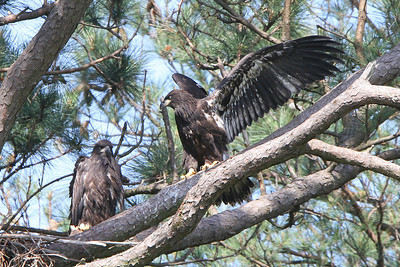 Wild Bald Eagles at Norfolk's Botanical Gardens in Virginia. 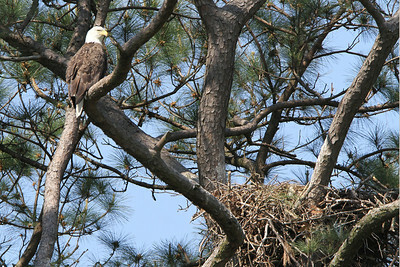 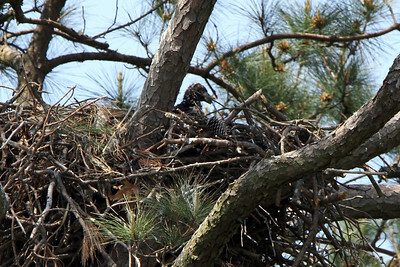 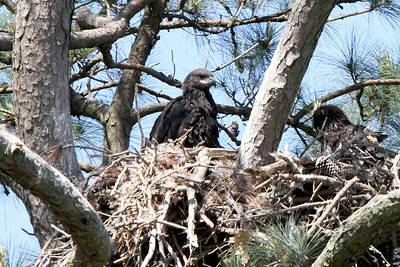 2010 nesting season. 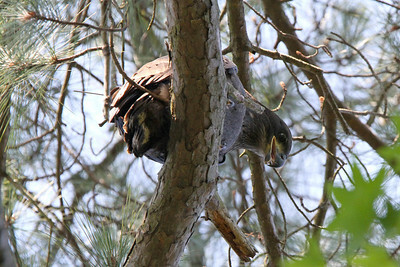 Camelia, tagged "NC", concentrating on his flying. 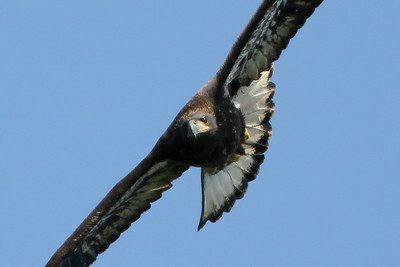 You can see the antenna from the small tracking radio on his back. 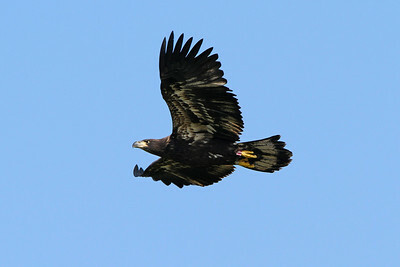 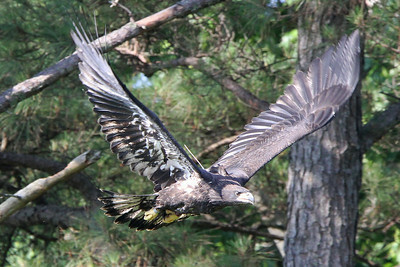 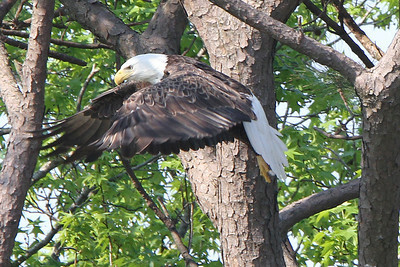 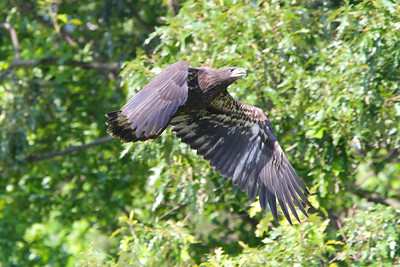 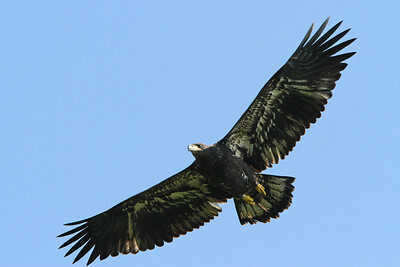 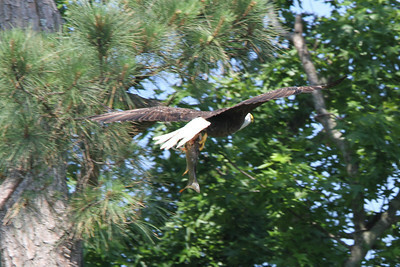 Youngest eagle tagged "ND", practices his landings four days after his first flight on Memorial Day.